Well here we go, my Undervalued Spotlight #100. 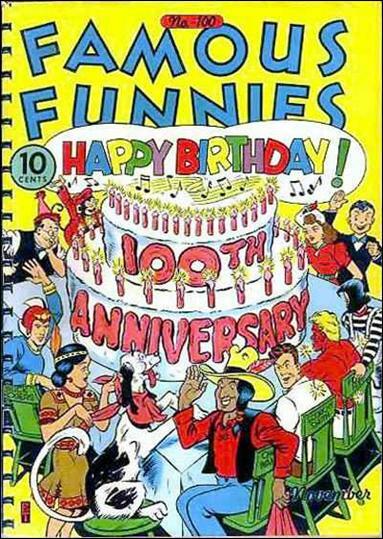 Famous Funnies #100 (November, 1942) represents the first comic to reach #100 and it did so in style. Added bonus points for the run being unbroken since Famous Funnies #1 (some titles cheat by taking over the number sequencing of other titles). Check out the super focused anniversary cover featuring 11 reoccurring characters, including Buck Rogers, sitting around a large 100th Anniversary cake. What’s the big deal about a 100th issue? Well 100th issues are quite a healthy and active collecting strain. 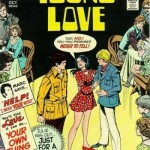 Why wouldn’t it be with the beautifully wide range of 100th issues available for collecting? 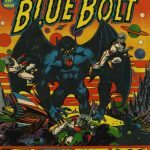 There are great 100th issues in the Golden, Silver, Bronze and Modern age and they occur across all the genres of comics. I thought I’d add some interesting 100th issue observations. 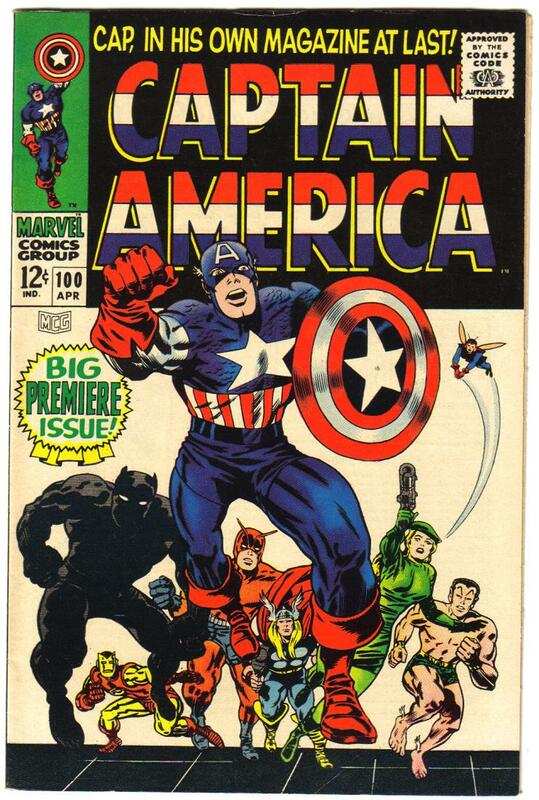 Collectors my age will remember Avengers #100 (June, 1972) where Barry Winsdor Smith famously drew all the characters that were ever Avengers on the cover. Is this Smith’s homage to Famous Funnies #100? 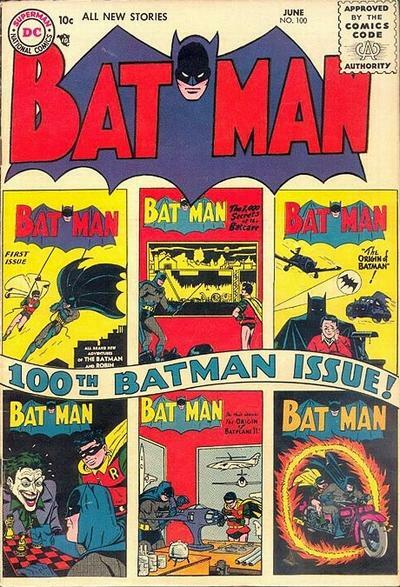 The most expensive 100th issue according to The Overstreet Comic Book Price Guide is Flash Comics #100 (October, 1948), the guide lists the 9.2 NM- price at $4600, a close second is Batman #100 (June, 1956) at $4500. Holy crap Batman, a waterfalls! 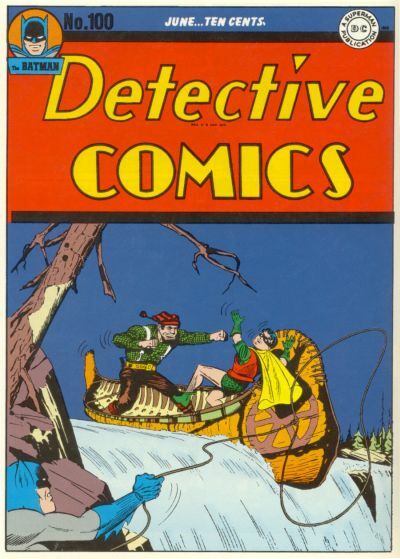 I find it interesting that both Batman #100 (June 1956) and Superman #100 (October, 1955) both out value Detective Comics #100 (June, 1945) and Action Comics #100 (September, 1946), their character’s original title’s. 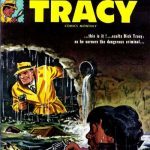 The guide values are about double even though the Detective and Action issues are about a decade older. The only excuse I could come up with is that Batman and Superman flaunted the anniversary while the event went unmentioned in Detective and Action. 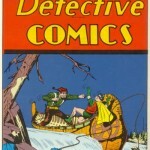 Perhaps Action Comics #100 and Detective Comics #100 are undervalued? 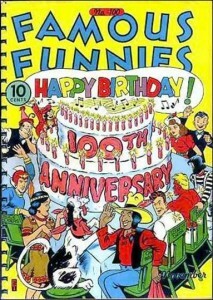 By the way More Fun Comics #100 is the first DC comic to hit #100 (December, 1944). 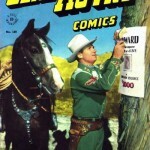 I believe Dell’s Popular Comics #100 (June, 1944) is the 2nd 100th issue in comics. What would be the most important #100, the biggest key? 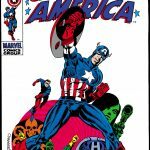 I’ll go with Captain America #100 (April, 1968). 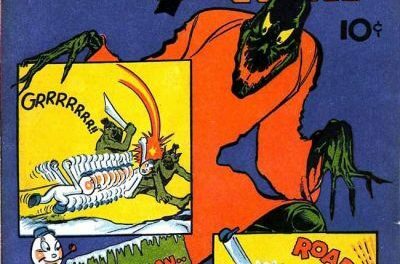 It was part of that big Marvel re-launch that that turned Strange Tales, Tales to Astonish and Tales of Suspense into Nick Fury, Dr. Strange, Incredible Hulk, Sub-Mariner, Iron Man and of course Captain America. Of course being a #100 doesn’t mean you keep going up in value. 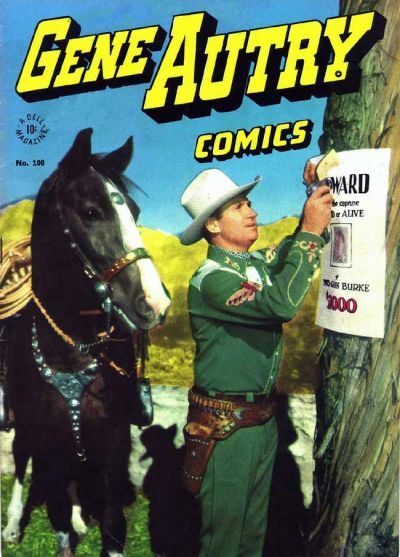 Case in point Four Color #100 which boasts the 1st Gene Autry photo cover and is embedded in a very collectible title like Four Color still lost value last year. The 40th Overstreet had the 8.0/9.0/9.2 grade splits valued at $206/$371/$535 while this year’s 41st Overstreet edition pegs the values at $181/$336/$490. That’s an 8.5% drop! Almost as bad as the stock markets! Maybe this post will help the book for next year. You should have put your money into Justice League #100 (August, 1972), the 9.2 guide price went from $55 to $70 which is a sweet 27% increase. 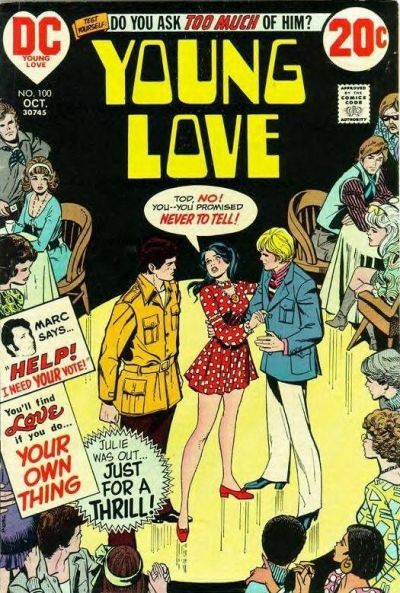 Alphabetically Ace Comics #100 (July, 1945) comes first while Young Romance Comics (July, 1959) is last but because it has that weird Volume numbering system and does not have the issue # on the cover I’m giving DC’s Young Love #100 (October, 1972) the distinction of being last. I'm surprised we made it this far! 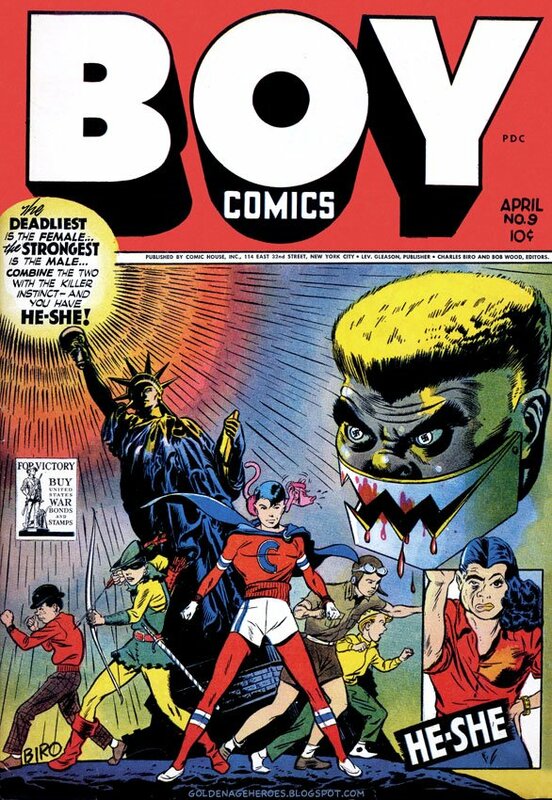 Straining my brain I recalled that Marvel Two in One ended with #100 (June, 1983) and I quickly found that DC’s 1982 Firestorm series also ended with issue #100 (August, 1990). 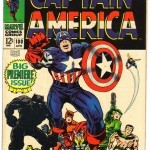 The 1st Marvel to reach #100 from #1 was Fantastic Four (July, 1970) though there were of course much earlier Marvel #100s. 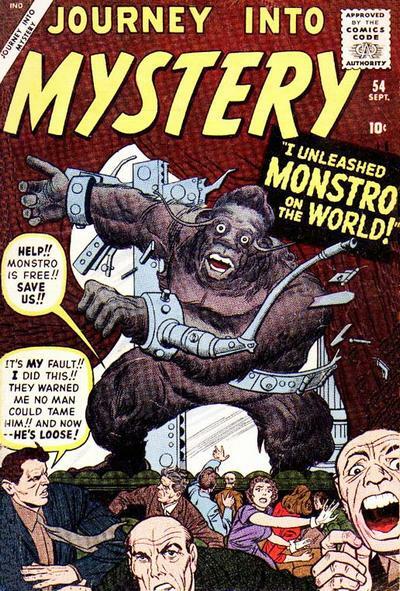 I think Strange Tales #100 (September, 1962) was Marvel’s first Marvel Age #100 (post November 1961 when Fantastic Four #1 was published). I’m not counting stuff like Kid Colt Outlaw #100 (September, 1961) since I’m considering it a pre Marvel Atlas. As you can see 100th issue have a great and colorful history. This spotlight exposes the need to treat with much more reverence the very first 100th issue comic book. 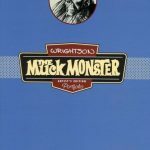 Only 5 Famous Funnies #100′s have been graded by CGC, a 9.6, 9.2 and 8.0 are the best out here as of this post. The CGC 8.0 sold for a piddly $80 a year ago and the CGC 9.2 just sold for only $165! Clearly people have not yet seen the light. If I’ve made any errors with my claims above please post corrections in the comments field. Actually please post your favorite #100 issue and feel free to add any cool 100th issue tidbit of any kind while you’re at it. The 41st edition of The Overstreet Comic Book Price Guide shows $117/$189/$260 as the splits at the 8.0/9.0/9.2 grades. Awesome. I see a 100 page book in your future. I believe the working title is: X-Force #2 and other things people make fun of me for. Since X-Force #2 was Deadpool’s second appearance… what was Deadpool’s 100th appearance? My favourite #100 issue is G.I. Joe #100. Not only is it a great #100 issue, it is just one of my favourite comic books. You can check out the article I wrote about it. 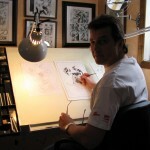 That is another cool collecting strain Ed, figuring out which comics contain the 100th appearances of major characters!! Good work. Now that is a great idea!!! 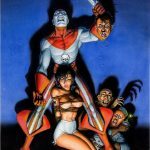 I looked into what is Deadpool’s 100th appearance. On ComicBookDB you can do a search on the chronological appearances of a character. While looking at Deadpool I didn’t count Trade Paperbacks, Encyclopedia’s or Marvel Handbooks. Deadpool’s 100th Appearance was Deadpool #42 from July 2000. 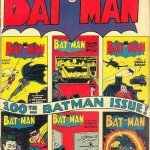 For arguments sake, Batman’s 100th appearance is World’s Finest Comics #15 (Fall 1944). 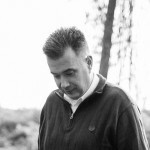 That’s Ed, you’ve just added 2 to my future Undervalued Spotlight pool! I love the cover to Deadpool #42. I’d pick it up for the cover alone.